on 10 native acres in the Great Basin Desert. (accommodating 2 adults per suite) and a common kitchen. Oliver and Penticton and 45 minutes north of the US border. Bighorn Ridge from Bighorn Ridge on Vimeo. ​We are proud to have been awarded by the Land Conservancy "Stewardship for Natural Habitat." numerous magazine, television and newspaper articles done. 2 Private Suites (accommodating 2 adults / suite). Each non-smoking suite has an electric fireplace, A/C, WiFi, flat screen TV, queen size bed and a 3 piece bathroom. Common fully equipped kitchen with cook-top, microwave, dishwasher and private fridge for each suite. We are not a "bed and breakfast" so the common kitchen allows you to prepare your own meals. Covered outside veranda with common BBQ and private patio for each suite. Pet friendly with prior approval (no pets allowed unattended in your suite). 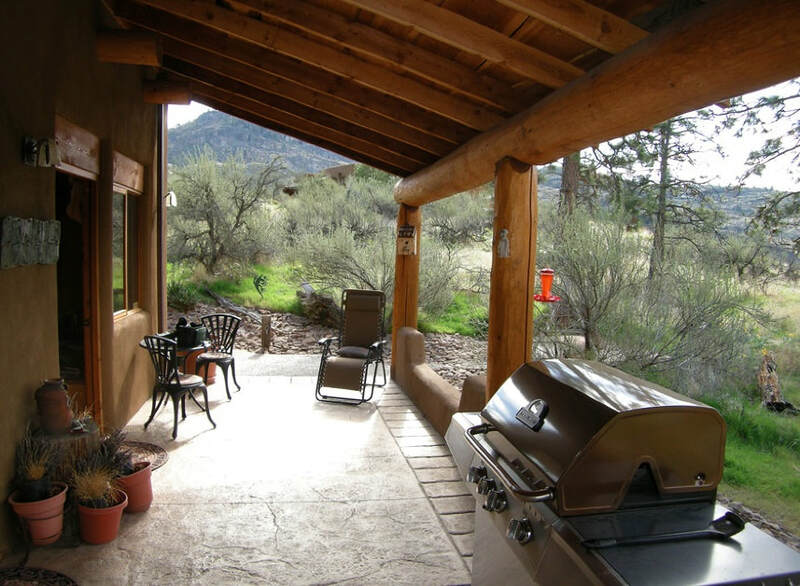 "Bighorn Ridge is the perfect place to get away from it all. We needed a couple of days away and found it in the hills of Okanagan Falls. Loved the guest house and it had everything we needed for a wonderful couple of days, the kitchen and rooms are extremely well outfitted!! 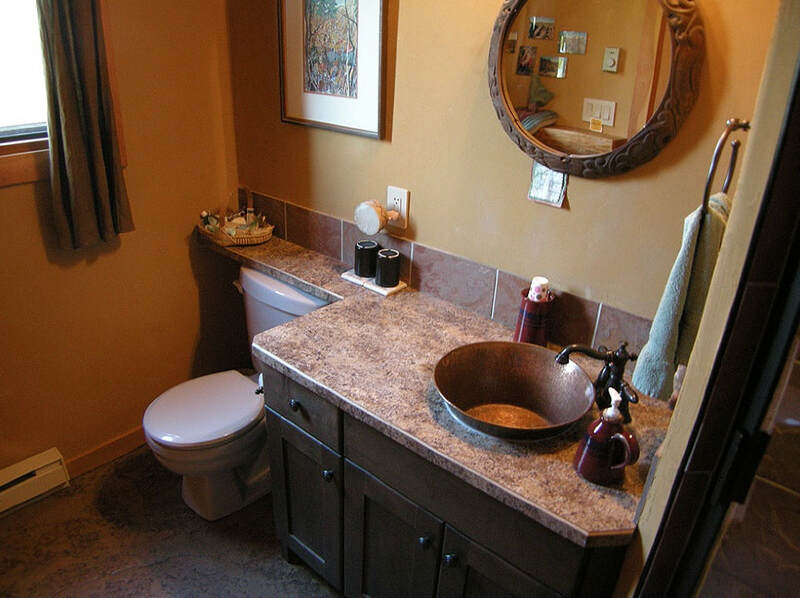 It is very well maintained and clean. We spent a lot of time on the wonderful front deck looking out at the view and seeing all kinds of birds. We would and have already recommended this amazing place and look forward to getting back there again." "This was my second stay at the guest house, accompanied by my golden retriever, for a few days of R&R and wine-shopping. The hosts are warm and friendly, never intrusive but always helpful. They welcome my dog, provide lists of off-leash trails and even pet-friendly wineries. The Guest House is cozy and has a wonderful view of Vaseux Lake and the cliffs north of Oliver - savored every day with a glass of wine from the porch swing. The shared kitchen is well-equipped, meals can be taken under the awning on the lovely deck. Quiet. Beautiful. Luxurious. Revitalizing. Could become an annual pilgrimage!" "Wonderful and accommodating hosts, fantastic views from a private setting in the heart of wine country, clean, comfortable and well appointed lodging. This rental was everything and more than described in the listing. Many attractions and activities near by or just a great place to relax. 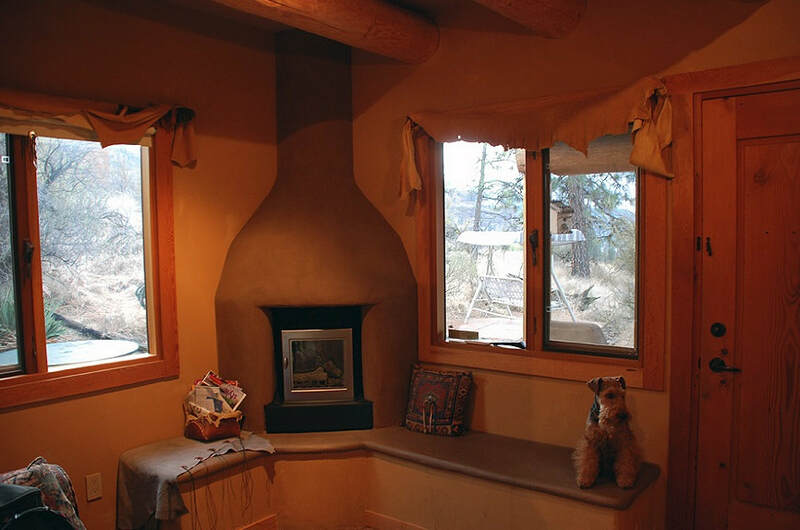 However, the most attractive aspect of this property is Roger and Carla's love for dogs and the details they have incorporated into the design to ensure your puppy is comfortable too! Highly recommended for anyone with or without a dog." "Bighorn Ridge was a wonderful find! We thoroughly enjoyed our two night stay. Our only regret was not staying longer. The suite was clean and well maintained. The view from the patio was spectacular. Having a BBQ available made the evenings perfect after spending the days golfing and visiting the local wineries. Carla and Roger were gracious hosts and we would recommend the property to family and friends without hesitation." "My wife and I spent two nights and three days at Bighorn Ridge and would not hesitate to recommend it to friends and family. The setting high on the ridge overlooking Vaseux lake is spectacular. 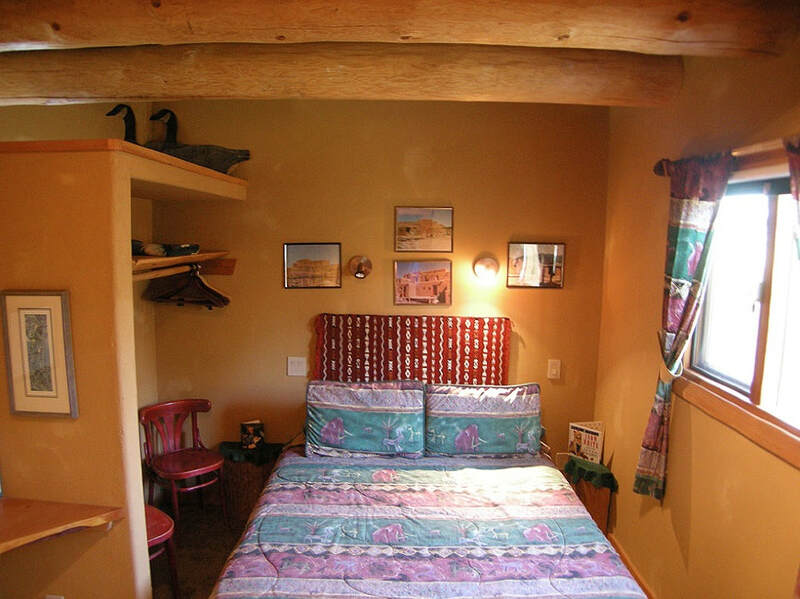 The adobe guest house is simple elegance and provides a quiet retreat from the hustle of everyday life. Roger and Carla are the perfect hosts, friendly, helpful and absent unless there is a question to be answered. 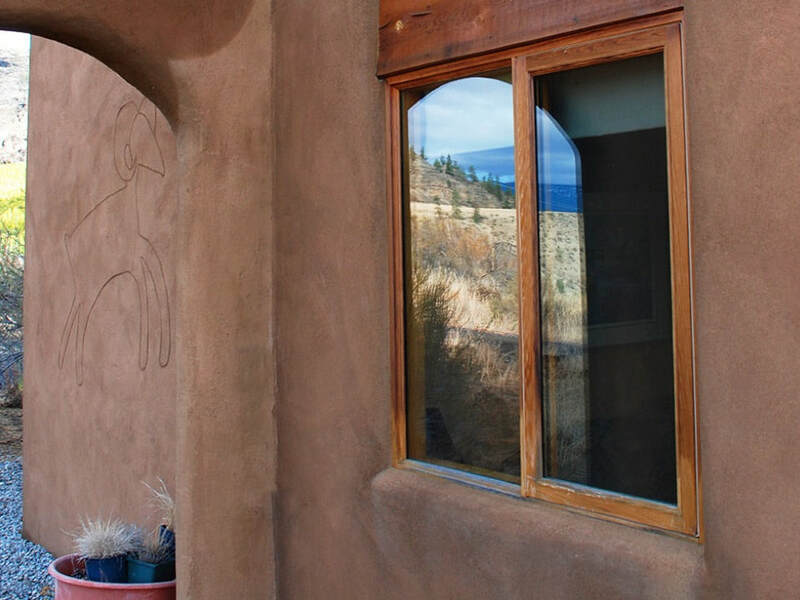 Carla’s artistic touch is evident through out the guest house and makes this the perfect hide-away when visiting this part of the Okanagan Valley."